An everyday training suit for future gold medallists. Your future record breaker can perfect her strokes in this girls' swimsuit. 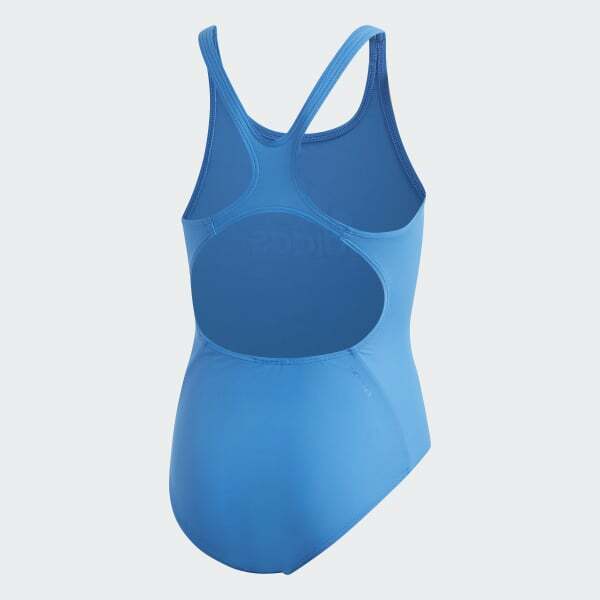 It's made of soft stretchy tricot and cut with a medium neck, back and leg for training. An adidas Badge of Sport on the chest gives it a sporty look.